Ready to countdown to the New Year? 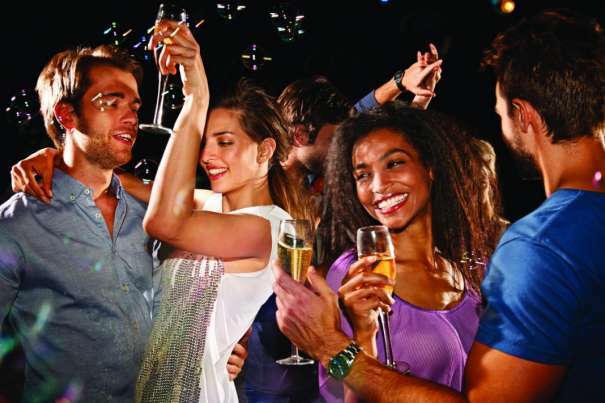 We have the ultimate checklist to make sure this is the best New Year’s Eve ever. Check out this guide for everything you need to know about New Year’s Eve in Las Vegas. Come thirsty, be loud, and ring in the new year with MGM Resorts. On average, over 300,000 people are on The Strip every December 31 to celebrate the new year. The Strip closes around 6:00 pm and opens back up around 3:00 am. 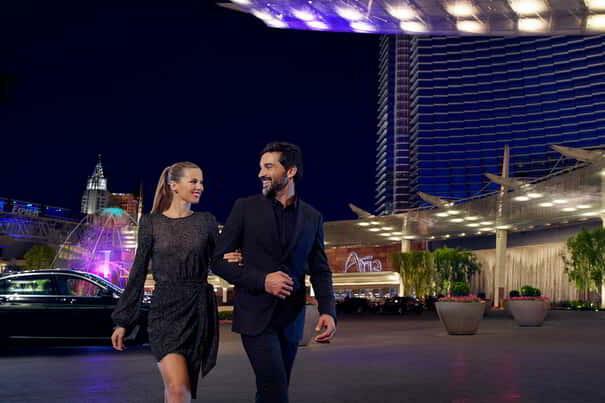 If you are sightseeing elsewhere in Las Vegas, make sure you are back on The Strip before it shuts down so you won’t have a problem getting to your hotel room or suite. Usually the monorail is the only public transportation available, so bring a pair of comfy shoes as you will be walking a lot. Rideshare can drop off those with hotel reservations but will not be able to pick you up during The Strip closure. Keep glass containers of any kind in your hotel room as they are banned beginning at 6:00 pm. Beverages in glass containers will not be available for sale beginning at 6:00pm. Closer to the NYE countdown, hotels will require a room key to access the property, so keep your rom key with you at all times. In case you are still looking for the perfect NYE’s outfit, take advantage of the amazing shopping at MGM Resorts. Stop by SJP by Sarah Jessica Parker for the perfect pair of heels. The Shoppes of Mandalay Place will have these flats you will need to change into later at night. 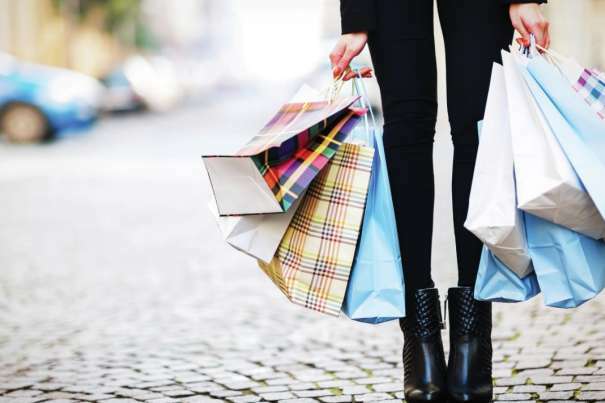 If you still can’t decide on the perfect outfit head over to the Shops at Bellagio where you can shop at designer favorites like Chanel, Dior, Gucci, and Valentino just to name a few. Remember it is cold in Vegas in December so bring a jacket! If looking for some inspiration on how to look your best on The Strip, check out our take on the Las Vegas look. It’s now time to get ready! Make a reservation at one of our award-winning salons. Many of the spa and salons on The Strip will have NYE spa specials, so ladies, take advantage and book an appointment for a manicure, pedicure and blowout. Men, get a close shave at a traditional barber shop. Located in the Grand Spa at MGM Grand, manicure, pedicure and blowout. The Barber Shop has an old-school vibe with modern luxuries. From the zing of a straight razor and vintage memorabilia – to a flat screen TV and an Xbox in the waiting area, this male-centric venue is a great escape for anyone looking for the perfect man cave away from home. Book your dinner reservations in advance as this will be the restaurants’ busiest time. 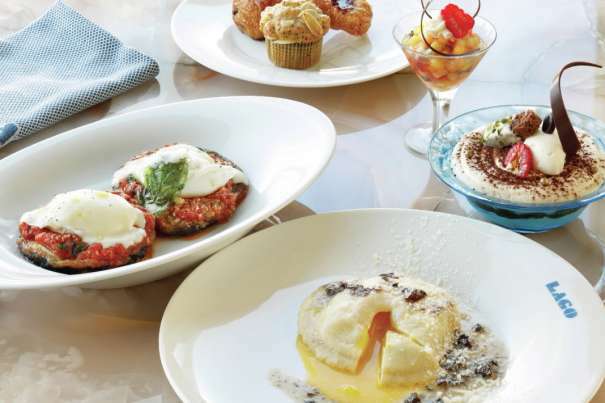 If looking to impress your significant other, book a table at Lago By Julian Serrano at Bellagio. Featuring floor-to-ceiling panoramic windows, LAGO’s dining room ensures you will have the most spectacular views of the resort’s iconic Fountains of Bellagio. If looking for a great steakhouse, we recommend Bavette’s Steakhouse & Bar at Park MGM. This intimate space with glowing chandeliers, sultry jazz, and mixed vintage art and murals features a menu of richly flavorful ribeye’s, fresh seafood towers, zestfully seasoned lamb chops, traditional side dishes, and house made desserts. If looking for a more laid back but fun atmosphere before stepping out on the town, Libertine Social at Mandalay Bay is the place to be. This gem at Mandalay Bay is known for its fresh take on classic American dishes, award-winning cocktail menu and its lively atmosphere that can’t be duplicated anywhere else on The Strip. There are six Cirque du Soleil shows at MGM Resorts and each is an unforgettable experience with no two being alike. Maximize your Cirque du Soleil experience and book a Cirque VIP Package for “O”, Beatles LOVE, or KÀ performances and experience an exclusive performer meet and greet, beverage inclusions, VIP seating and more. If looking for shows that the whole family can attend, we recommend Jabbawockeez and Blue Man Group performances. Jabbawockeez has awe-inspiring choreography, pulse-pounding music, and stunning special effects while Blue Men Group will take you on a spectacular journey bursting with music, laughter and surprises. 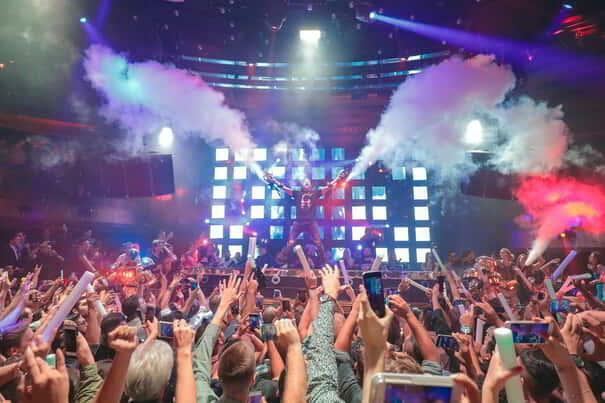 Whether you're looking for world-famous DJ's, a night of dancing and drinks, or an evening of romance, you’re just steps away the hottest nightclubs in Las Vegas. Jewel Nightclub at ARIA has five themed VIP suites that overlook the crowd and DJ booth. Explore Hakkasan Nightclub at MGM Grand and check out its many levels that include a laid back area, a lounge setting and main room and mezzanine where the world’s top DJs like Steve Aoki and Calvin Harris frequently headline. Guests at LIGHT Nightclub at Mandalay Bay will be treated to a visual nightlife experience that you won’t find elsewhere in the city. Lastly, 1 OAK Las Vegas at The Mirage provides just enough spotlight for burning up the dance floor and dark corners for a sultry rendezvous while sipping cocktails. Las Vegas is a city known for coming alive especially after dark. But after a long night of entertainment on the Strip, Las Vegas has a way of turning into a city full of hangovers. We have narrowed down the best brunch locations on The Strip. No matter what you’re craving, from sweet to savory, Mexican dishes to breakfast classics, a liquid champagne brunch or build your own Bloody Mary bar, Vegas has it all and more. We recommend you check out Citizens Kitchen at Mandalay Bay. This 24-hour restaurant serves up hangover cures like crab cake benedicts and crème brulee French toast and if you’re moving a little slower the morning after, no worries, Citizens Kitchen & Bar offers all your brunch favorites until late, with some dishes served all day. Start off the year right with getting your body detoxed from all the impurities you have taken in the night before. Our relaxing spa experiences are designed to rejuvenate your body and we offer many options to stay healthier while you’re away from home. Stay hydrated with REVIV Wellness centers. Located in the MGM Grand Underground, REVIV certified medical staff offers 5 different hydrating IV Infusions and Energy & Wellness Booster Shots. Our wellness page has numerous recommendations for Staywell Rooms, wellness spa treatments, fitness centers, juice bars and restaurants with healthy menus options that will help you leave Las Vegas in better shape physically and mentally then when your vacation began.